August 15, 2017 (Last Updated: March 30, 2019) - As an Amazon Associate I earn from qualifying purchases. We previously looked at the history of rum and today we are going to bring it one step further by looking at the history of the Mojito. 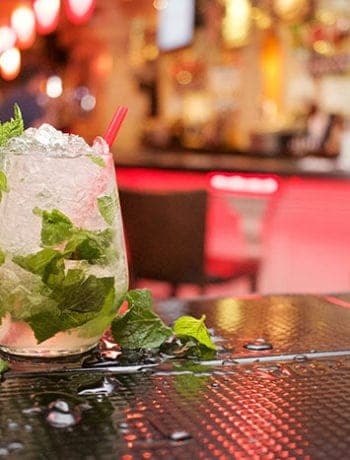 Like many classic cocktails, Mojito history is full of conflicting stories. Each origin story containing it’s own flavor of history’s flair and interesting tidbits of knowledge. 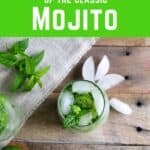 While we probably are not be able to peg down the exact history of the Mojito today, we are going to examine some of the theories and talk about the colorful past of the Mojito. I think it is fair to say that most associate the Mojito with Cuba. And by all accounts that I could find, Cuba is credited as the origin location of the Mojito. While I am going to also buy this origin story, I do think it is worthwhile to have a discussion on the timelines of events that could place the origin of the Mojito elsewhere. I think to follow Mojito history, we need to track the history of sugarcane production, which we previously covered in some detail. Christopher Columbus brought the sugarcane plant with him on his second voyage (1493-1496) and first landed in what is now Haiti and the Dominican Republic. Sugarcane plantations were already being used in the Canary Island , so the economic model already existed, but we did not start seeing large scale sugarcane production in the Caribbean until mid 16th century. And this was in Brazil. Sugar mills were apparently not built in Cuba until 1576, with the primary industry at that time being livestock. So, sugarcane first arrived in the area in the very late 1400s. We did not see large scale sugarcane production (and this was in Brazil) until 60 years later. Sugar appears to not have been an important cash crop in Brazil until 1576. Brazil had a leg up on the sugarcane industry. Did rum follow this same path? Maybe… maybe not. The first recorded rum production, according to Wikipedia, is in Brazil in the 1620s. And just because it was recorded, doesn’t mean it was the first. It might seem reasonable that fermented sugarcane would follow the production of sugarcane. We know that modern rum came from somewhere in the Caribbean, but precursors of fermented sugarcane really could have come from anywhere. But we are talking about Mojito history, right? So is there anything special about the other ingredients that would help us narrow it down by location? Sugar? Nope, as sugarcane is important in this process and would have followed a similar trail as rum. Lime or Mint? No. These grow anywhere in that part of the world! So, what do we have? Some theories. 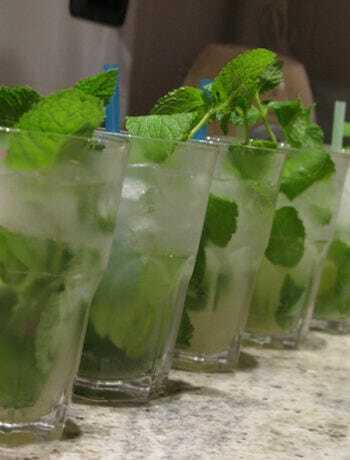 One theory is that the origin of the Mojito comes from the exploits of Sir Francis Drake. Drake, an English loyal and slave trader, led the Battle of Cartagena de Indias in 1586. They did win this battle, but on the departure route, the crew were overcome with scurvy. Knowing that locals had medicines of sorts, they stopped in Havana to acquire these local remedies. 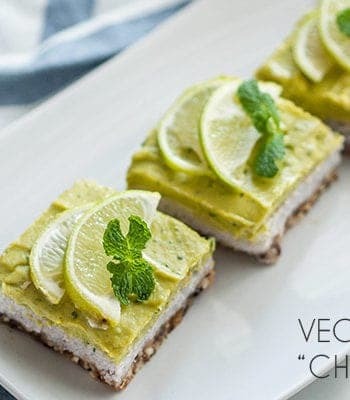 Lime prevents scurvy and mint may help with motion sickness. Combined with what might be a local precursor to rum (fermented sugarcane), it is said that on this stop, the Mojito was born. Reportedly, the concoction was not called a Mojito, but the westerners named it El Draque after Sir Francis Drake and then eventually evolved into a different name. My biggest contention with this theory is that sugarcane just started being processed on the island of Cuba. The mint and lime make sense. The rum, in my opinion, is cutting it pretty close. 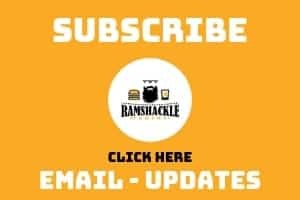 Since we already indicated that rum production wasn’t documented until the 1620s, and in Brazil, our timeline for rum being available in Cuba is a little fuzzy. This does not mean that rum (or a form of rum) was not being created, but is certainly somewhere in that time period where I would really start to question if rum existed. Still, the heart of the Mojito is in Cuba, so I am sticking with Havana as the Mojito birthplace. 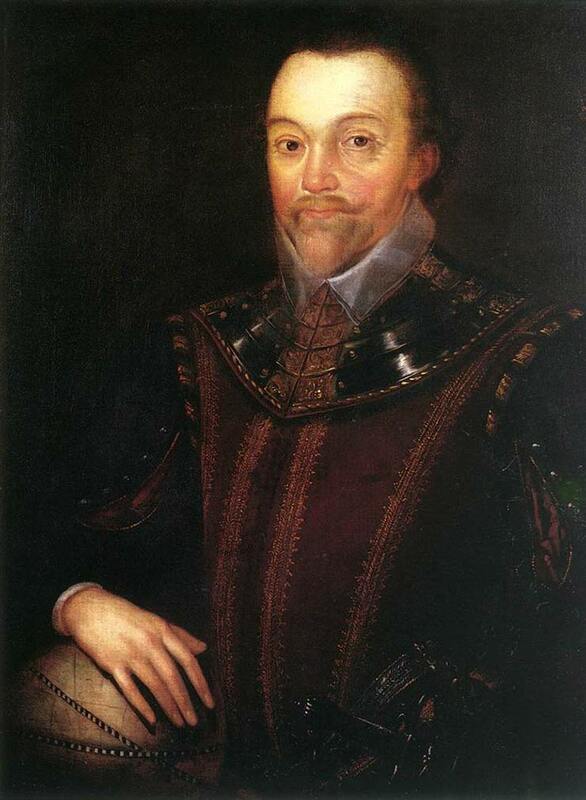 I mark the Francis Drake Theory as possible, but I think I like the next theory better. As we pointed out in a previous rum history post, molasses was considered industrial waste at one time. There is a good chance that slaves used sugar byproducts out of necessity. Those who point out this theory, also show that slaves probably were sipping on local sugarcane juice as well. For me, it only makes sense that the people who needed to use the ingredients around them and were closest to the source (I mean they were working the fields), pulled together lime, mint, and rum (or a precursor to rum) to make what we know as the Mojito. To be honest, there seems to be less documentation of this theory, but it seems way more appropriate to me. The men of Francis Drake’s envoy would have had closer access to the spirits of the old world… ales, wine, and brandy. Like lobster was once slave food, it seems reasonable to me that the cuisine of the locals what was could be scraped together. Lime, sugar leftovers, and mint all seem like they would have been available to the slaves of the time. And we cannot talk about Mojito history without talking about Earnest Hemingway, a man who (whether he knew it or not) really brought the Mojito into the lime light. Although I am a fairly avid reader, but still have not found my way to any of this Nobel Prize winner’s books or stories. I thought about reading one of his books just to get a feel for the man for this series, but he may not be as closely tied to Mojito history as we may think. I am going to rely on Cocktail historian Philip Greene’s (a Hemingway biographer and author of A Hemingway Cocktail Companion) article from The Eater for much of this information. The story is as such…. Hemingway wrote down the phrase about what were his favorite places to get the cocktails. And signed it. Today, this can be seen hanging in La Bodeguita del Medio. 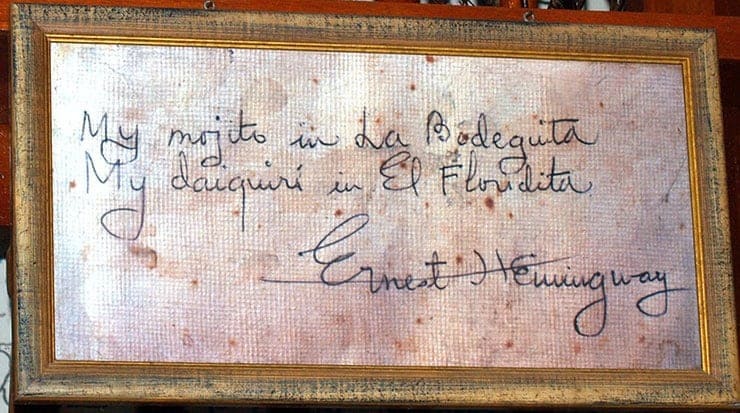 Greene postulates that Hemingway was NOT a regular at La Bodeguita and that the sign, in fact, was a forgery. It was a marketing ploy. A really successful marketing ploy. Additionally, that he drank Mojitos was just a legend that came from this forgery. Greene contends that Hemingway often wrote about the places he drank and the things he drank. He never mentioned this location or Mojitos. The fame of the mojito partially rests on this quote that Hemingway may have never made! The mojito became very popular after this sign was displayed. It doesn’t matter though, the Mojito is a great drink. If you have been following me a while, you know that these cocktails tend to be mired in a bit of mystery and the Mojito is no exception. No matter the history, just drink one, dangit. Thanks for the info. I’ll think about all of that next time I order a mojito!